This last week has been filled with some delicious baked goods. Baking is something that I find relaxes me when I am stressed and often find myself mixing well into the evening. Since I last shared about my adventure to my family’s summer home on Martha’s Vineyard plans falling through, I have found myself choosing sweets over the savory dishes I usually prepare. 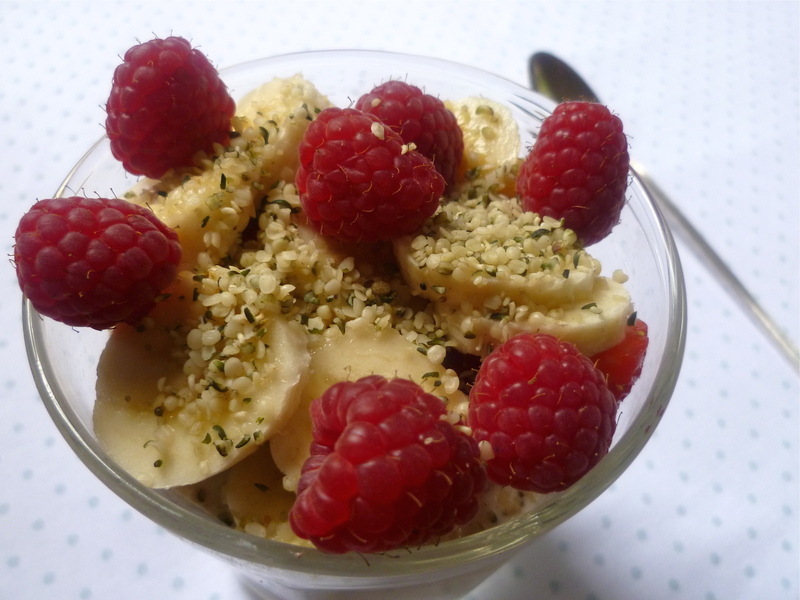 Of course I still ate many salads, wraps, veggie burgers, and even a delicious sushi date night with V, but I must admit that sweets were what I craved or preferred making. Measuring and mixing things I knew would work well together was easier than chopping, spicing, and sautéeing. Often, I find myself referring to Dreena Burton for her delicious cookies and this week was no different. 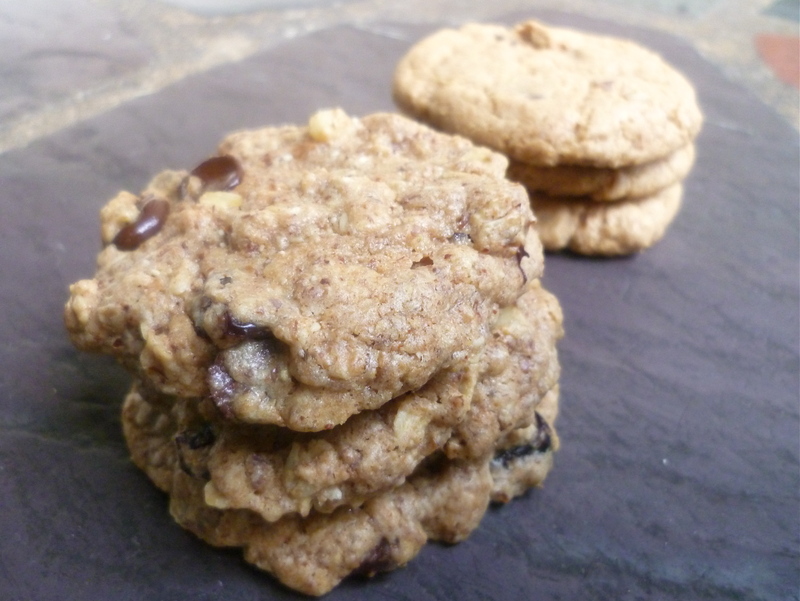 The favorite Super-Charge Me cookies were made with dried cherries, dark chocolate, and coconut. As many already know, this is a no-fail recipe. 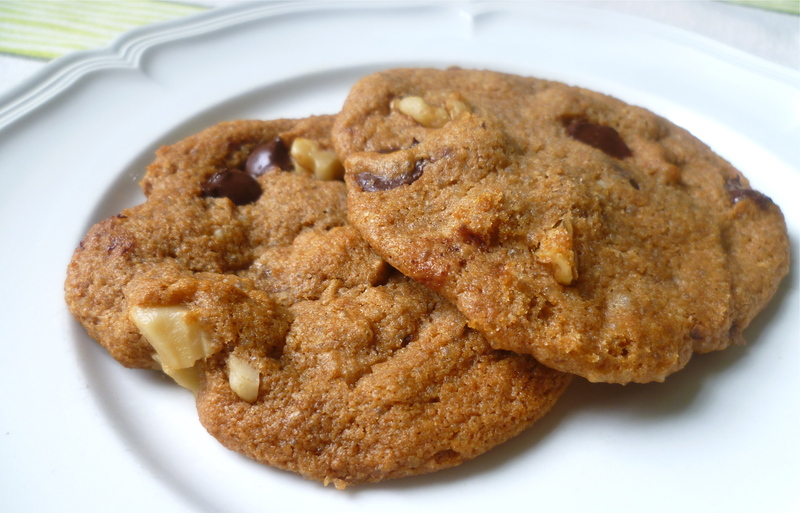 Wanting to try something new and with the abundance of spelt flour in my pantry, I chose this recipe from the Sweet & Natural blog for Walnut Chocolate Chip Spelt Cookies based off of Dreena’s Homestyle Chocolate Chip Cookie recipe. We had some extra coarse salt from Slovenia that I used for these and everyone agreed that they felt the salt was more pronounced than usual. We all loved the salt and dark chocolate pairing. The cookies were extra rich with a little from walnuts and coconut oil. With all the cookies in my parents home (made them their instead of V’s because of the array of baking ingredients), my sister and mother proclaimed that their should be “no more cookies!” After the first night we had a few, I stuck the remainder of baked treats in the freezer for occasions they wished they didn’t declare such a bold statement. Although all my baked goods are vegan, this does not mean they are void of sugar or fat. 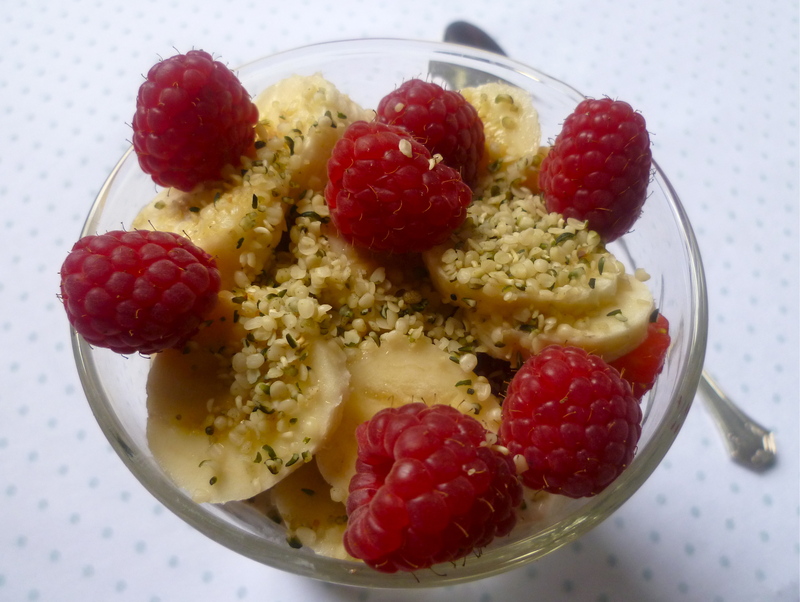 In my opinion, plant-based fat is better than animal based any day and I also feel nature’s sugar (maple syrup, agave, etc.) is entirely acceptable every day of the week. Chocolate is something I have promised to treat myself daily and this notion will probably never leave my mind. However, vegetables are another key component of my days. or herbs…specifically basil, from V’s overflowing mini garden. 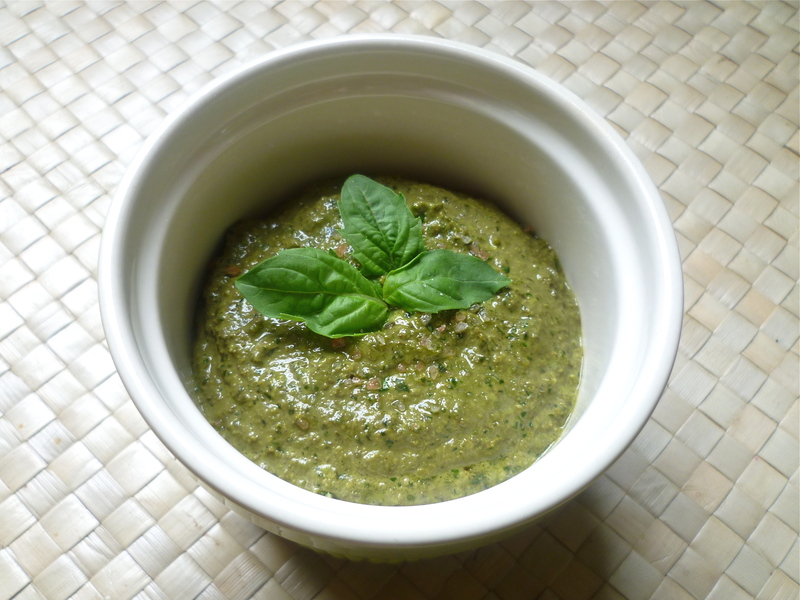 This was Ashley’s great vegan walnut basil pesto with nutritional yeast. Instead of using the limited supply of the salt from Slovenia, I bought Pink Himalayan Sea Salt from Trader Joe’s that I saw on Kathy’s lunchbox bunch blog. She discusses both the good and the bad about salt here, but I have never had an issue with too much salt since I eat limited processed foods. I also tend to prefer raw unsalted nut butters and buy organic and low sodium canned beans (when buying canned). 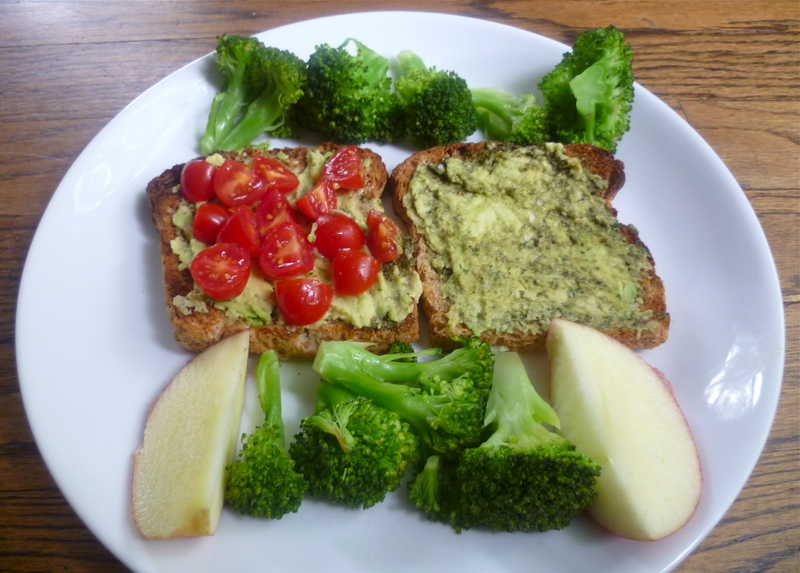 The first meal with pesto was a random lunch of mashed avocado and pesto on toast with cherry tomatoes and two of my favorite sides, apples and broccoli. 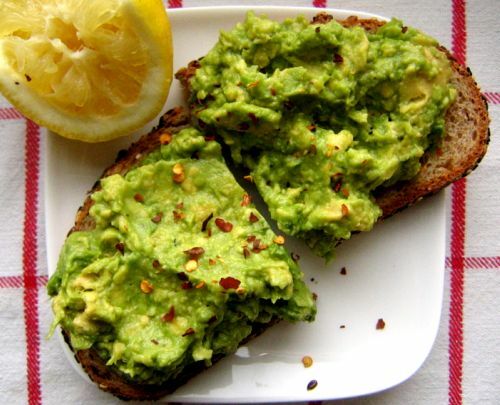 I still can remember the day I fell in love with simple mashed avocado on toast at my favorite nyc cafe, cafe gitane. The French Moroccan cafe has become quite popular since my sister and I first found the nolita gem years ago. Most often, the wait is pretty long, but around the corner is the best NY designer consignment shop, INA. While waiting for a tiny table at cafe gitane, we often head over to INA to browse some of our favorite modern labels like Stella McCartney (meat free Monday fan) and Alexander Wang, as well as the classics like Chanel and Balenciaga. 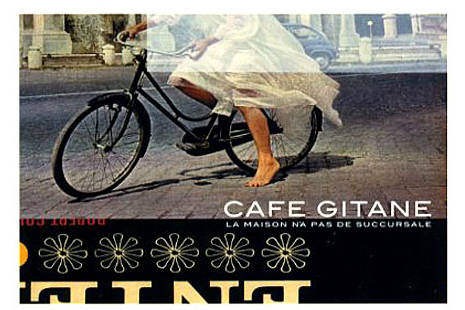 Cafe Gitane seems be attracting more and more actors. The last few times I have sat close to a few of my favorites like Elijah Wood and Michelle Williams. It is not only the simple yet delicious food that brings happy diners back, but also the casual european cafe atmosphere. When my sister sent me a text last week that she was eating street-side at Gitane with my mother, I envied them. I decided the closest I could get was to make some avocado toast. It was almost as tasty with the addition of pesto. 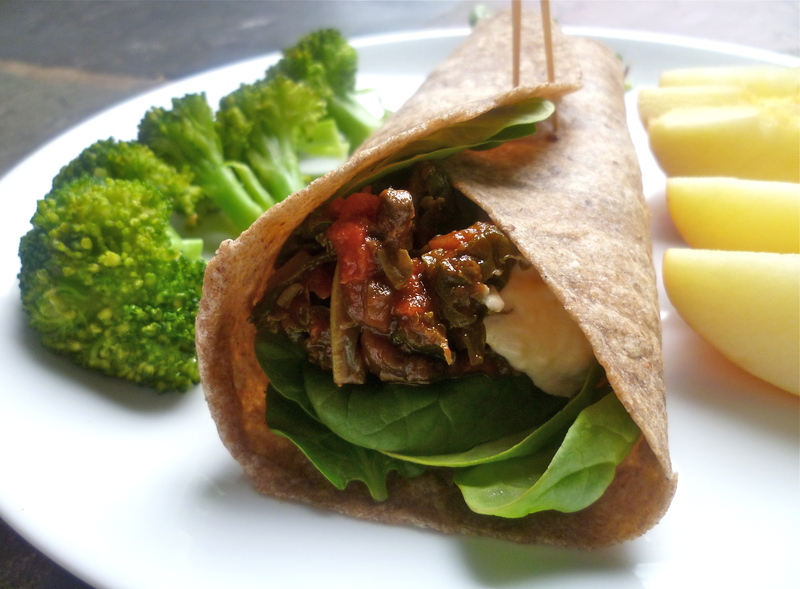 Another lunch in the last few days was a wrap consisting of leftover kale and mushrooms sautéed in tomato sauce with creamy hummus and baby spinach. Obviously, more broccoli and apple involved to round out the meal. 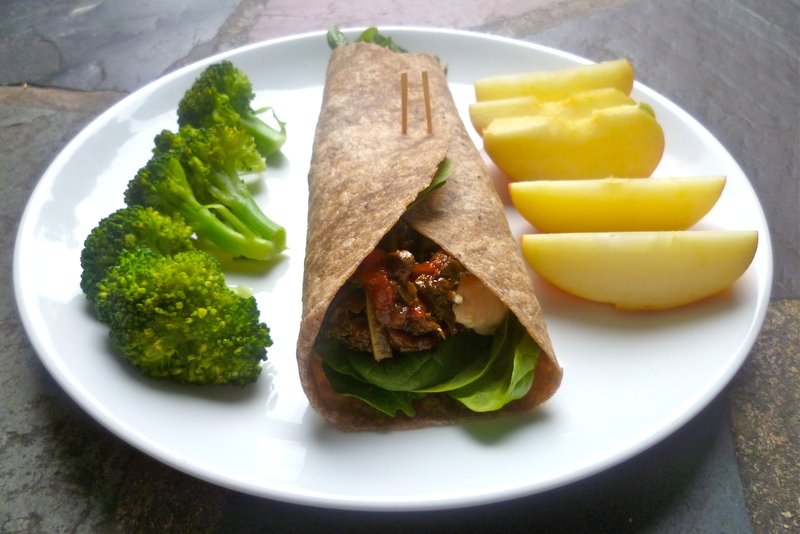 This sweetie asked me to write about some of my favorite wrap combinations but honestly, the key components of most wraps I make are leftovers. My dinner tonight will most likely be turned into a wrap or salad tomorrow. 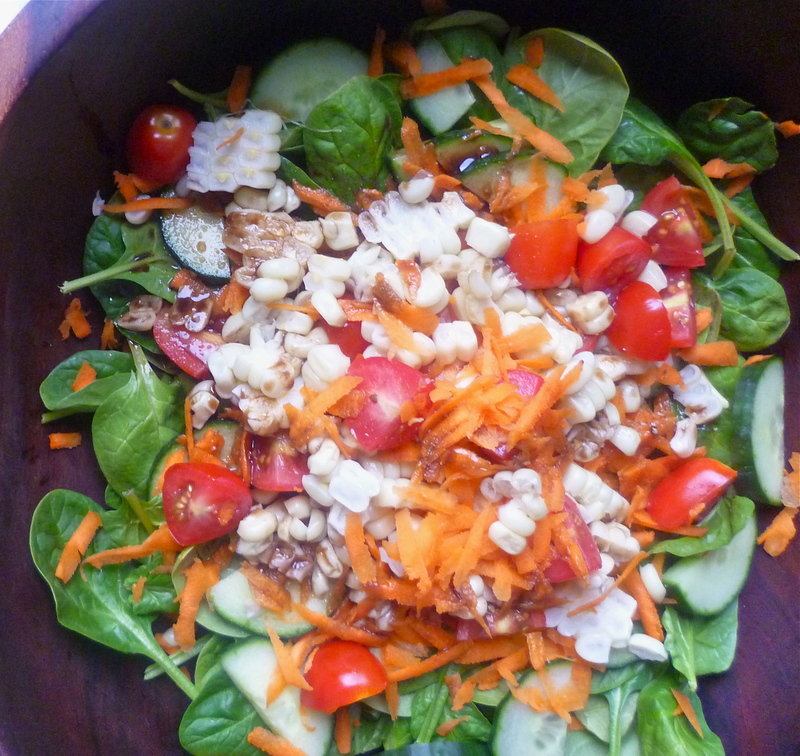 A shockingly bright spinach, carrot, cucumber, cherry tomato, and white corn salad with Angela’s addicting Better than Bottled Balsamic. Okay, I am too addicted to the Veganomicon Chickpea Cutlets and need to make some new creations like Jessica’s butter bean or black bean cutlets. 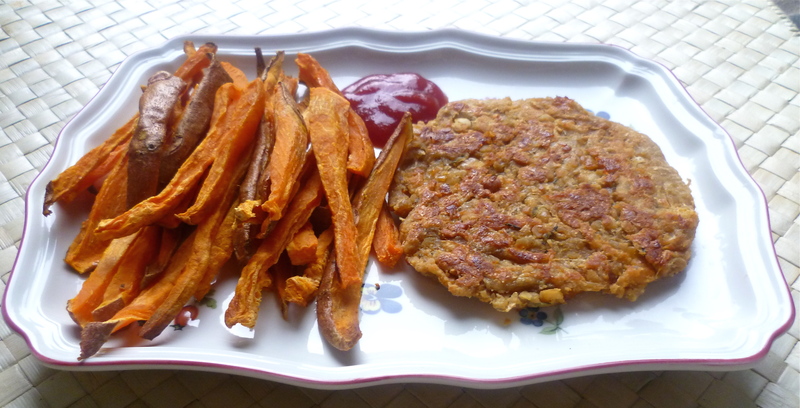 The simple seitan from the book sounds great too, but I just can’t seem to break away from the ones above. The sweet potatoes are another addiction I won’t be giving up anytime soon. I know you feel me on those! I will end with my favorite meal of the day, Breakfast. Here are two that I savored in the last few days. 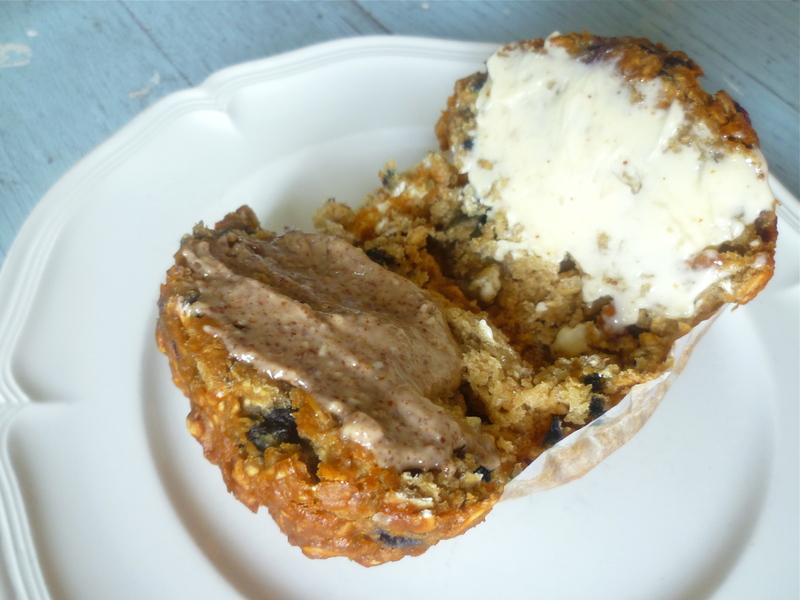 Trader Joe’s vegan blueberry raspberry muffin spread with raw creamy almond butter and earth balance. -Have you been watching the World Cup? What sports, if any, do you enjoy watching on TV? I watched the US vs. England game with my boyfriend and father because my dad is such a “football” (soccer) lover. It seems like most Brit’s are. I remember one vacation to Hawaii, he stayed in the hotel room because the World Cup was on. Soccer and tennis are two sports I enjoy watching, as well as running (especially the Olympic marathon and track & field). -Do you prefer baking or cooking more savory things? I answered this above but I realized today that I was a little over the baking bug. In the next few days I know there will be many more savory items to share. -Do you have a restaurant or cafe that you have noticed has become increasingly popular? Do you space out your visits or save it for special occasions? As I wrote above, my favorite NYC casual eatery has become quite the trendy hot spot, however, I moved from NY since then so only get to go when in the city. I make sure to fit in a visit each time though. -Also, I am curious if you get emails when I write responses to your comments. I hope so because I try to write back often!